Fashioned metals have a tendency to be harder, stronger and more solid than cast frames or machined parts. The motivation behind why, is basic: pressure alone forms the steel into the correct shape, and the metal's reaction to such overwhelming power has a tendency to adjust the grain. That implies you get more pertinent inner structure and a far more noteworthy capacity to withstand twisting and wearing. 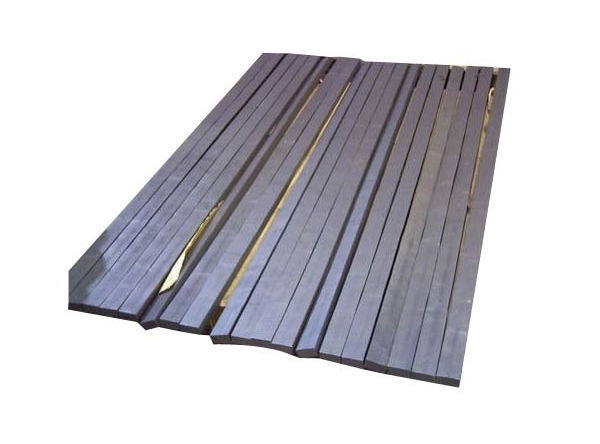 To keep pace with the continually developing interest of our customers, we are included in offering a wide arrangement of Forging Flat Bar. This Forging Flat Bar is broadly utilized as a part of comercial and industrial places for joining panels. Our items are tried on various quality parameter before dispatching to the market. JF engineering is engaged in offering the optimum quality forged flat bars in various materials and grades such as stainless steel, duplex steel and alloy steel. At JF Engineering Products LLP, all fittings and bars are subject to strict inspection at each stage of the production process, from starting material purchasing to product dispatch. They are visually examined for conformity to ASTM, ASME, MSS, DIN, EN, and JIS codes and standards. Upon request, official certified Inspection Agencies can be called in to witness the material reports, dimensions and quality conformity of products. Orders will be sent out within 2-3 business days, and may take up to 5-10 business days in transit. If Forgings is out of stock, orders may take up to 2-4 weeks to ship. JF Engineering Products LLP will notify buyer if this situation occurs..